A cloak of mystery surrounds the roots of Dulwich Hamlet Cricket Club. 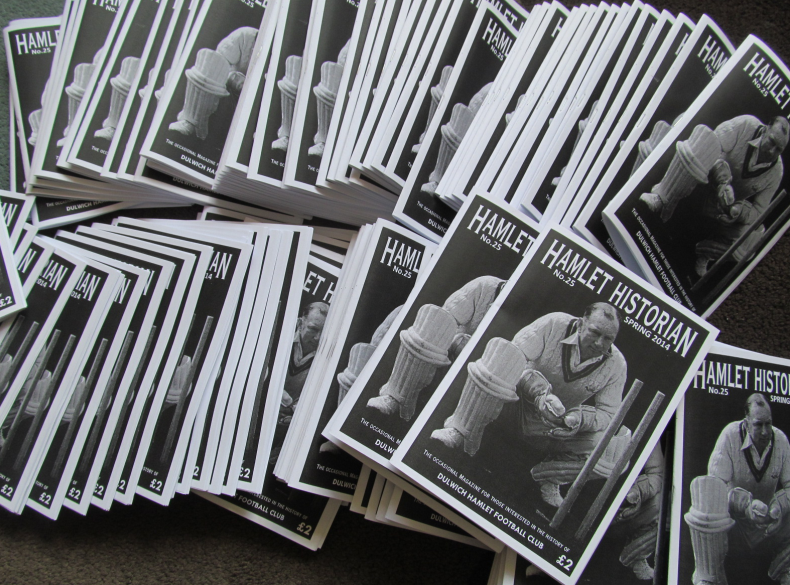 In the many club handbooks published annually by Dulwich Hamlet FC over many decades, the origins of its accompanying Cricket Club were frequently mentioned. Sometimes the foundation was inextricably linked with the Football Club’s beginnings in 1893, yet at other times we are told that it began some years earlier in 1889. A hundred years down the line the ‘official’ centenary was celebrated in 1989 – so that must be right. Or is it? Is there any concrete evidence that 1889 is the correct date of origin or is that just guesswork? Like many other Victorian elementary schools where muscular Christianity was being promoted, Dulwich Hamlet School was involved in sporting activities from its beginnings in 1884. By 1892 there was a gymnastics class, athletics club, and a thriving cricket team in the school, with a ‘squad’ of fifty members. Indeed, that year Mr Charles Hunt, who later became headmaster, was in charge of the cricket team that topped the schools’ division they were competing in. But then is the school team regarded as constituting a club? 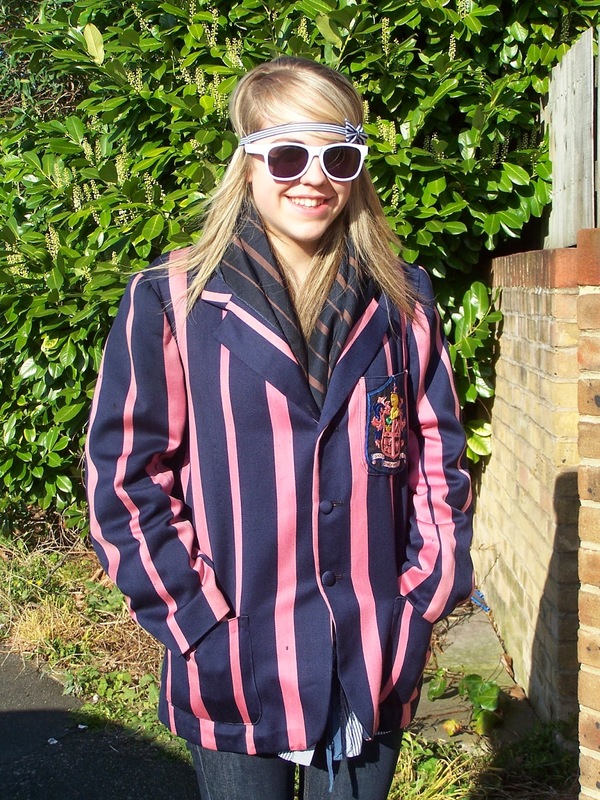 Having spent several years representing the Dulwich Hamlet School at cricket and football and so on, there were a growing number of ex-pupils, young men who wanted to continue in the same manner. They had reached school leaving age (and beyond) and surely finding a good job, or starting an apprenticeship would be the most important thing on their minds. But these boys had found great enjoyment in their amateur recreation and camaraderie, and to carry on in the same vein would keep them fit, and give them something to look forward to on their afternoon off from the factory, the office or the shop floor. But how would one go about setting up a new club, purchasing equipment, entering a league or cup competition, or booking pitches, liaising with opponents and so on? Someone who undoubtedly would know was Mr Lorraine ‘Pa’ Wilson. He was approached by two boys, James Ross Williamson we know was one, and Teddy Booker, it is said, was the other. [The latter name sounds unlikely as he was only 11 or 12 at the time]. The pair had scraped together one shilling and eight pence – less than 10p in today’s money – and handed it to Pa to help them set up a proper sports club for former pupils of Dulwich Hamlet. Pa Wilson happily supported the new venture, and promised to help out in any way he could. He therefore organised a meeting for the end of January and managed to get the backing of a group of extraordinary local gentlemen. Pa Wilson was also a great believer in resourcefulness and self-help. The boys should not rely on the adults, but they would need to take on many of the responsibilities themselves. The administration of the new club, Pa felt, should be in the hands of the boys, and this soon came about in the following months. After Easter the football team took on a number of friendly fixtures but managed to lose every one of them. They did not start gaining any success until the new season began in August 1893. A steady progression through junior and senior competitions in the next few seasons saw the Hamlet climb higher rungs which eventually brought greater rewards in the new century. Meanwhile, Dulwich Hamlet School (not the ‘old boys’) won the Surrey County Cricket Club’s Challenge Trophy in 1894. Forty three South London Board Schools entered the competition, and the village boys lifted the trophy without losing a single match. The senior cricket team also continued in earnest. In general, the players who made up the football team in the winter were the same bunch who ran out as the cricket team during the summer months. A glance at the score cards and reports from the early days (recorded in the South London Press) through subsequent generations, reveal all the familiar Hamlet names. When the annual football club photograph was taken during the 1920s, the players then changed into a different set of togs, returned to the same seats or stood in the same position, with the same background, to pose for the cricket club photo. It may not be so well known by today’s supporters that quite a few of our footballers were also first class cricketers in their own right. 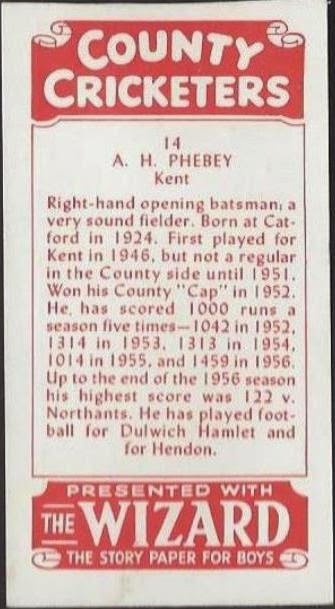 Men like Laurie Fishlock, Arthur Phebey (pictured below), Brian Taylor, Dave Fletcher, Derek Ufton and Arthur McIntyre who went on to success with County sides like Surrey and Kent, or to test cricket with England. Some even became Cricketer of the Year. We have highlighted a handful of these men in this issue. Others, who made their names with the football side, include 1920 Amateur Cup winner Fred Pilkington who turned out for Surrey, and Herbert Benka from the 1934 Cup winning team who spent several years with Middlesex. 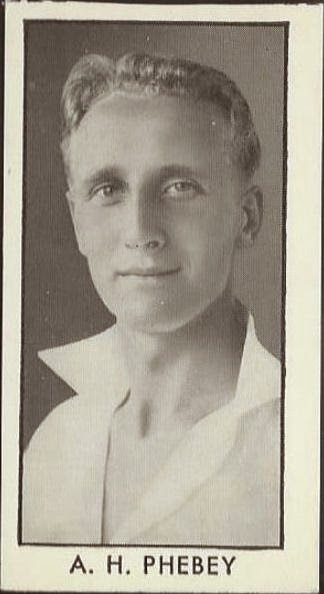 One of the very earliest Hamlet players with first class cricketing achievements was Herbert ‘Roger’ Thompson, brother to Jack Thompson who kept goal for the club in the early days. Born in 1869, Roger played at least a dozen matches for Surrey County Cricket Club between 1894 and 1919. The right handed batsman and leg break bowler then went on to be an umpire. He was still playing cricket for Dulwich Hamlet in the mid-1920s. The aforementioned Edward ‘Teddy’ Booker, was turning out for Dulwich Hamlet FC in 1898 aged sixteen. He won a Drapers scholarship to study at Cambridge University, and became the first of the Hamlet players to gain a varsity ‘blue.’ He played a number of games for Surrey’s second XI. An ordained minister, he suffered a premature death at the age of 37 in Uckfield in February 1919. One man who stood out from the beginning was local schoolteacher and cricket coach HW ‘Bert’ Hardy. His influence at the club was incalculable. Partly due to his connections with the South London Schools FA, the Hamlet had the pick of the best players in the area. It was through his work alongside Pa Wilson during the First World War – especially with the likes of Edgar Kail and Bill Caesar – that the idea of a DHFC Juniors side sprang up. The legendary Edgar Kail loved his cricket almost as much as he did his football. When war broke out in August 1914, fourteen year old Edgar was filling in the scorecard of a Dulwich Hamlet cricket match versus the Guards Depot at the Army Barracks in Caterham. The Hamlet side that day included Bert Hardy, Willie Clarkson and George Shipway. When the news reached the players on the pitch, the fielding servicemen left the Hamlet batsmen, and dashed off the field to get changed out of their whites into battle dress! 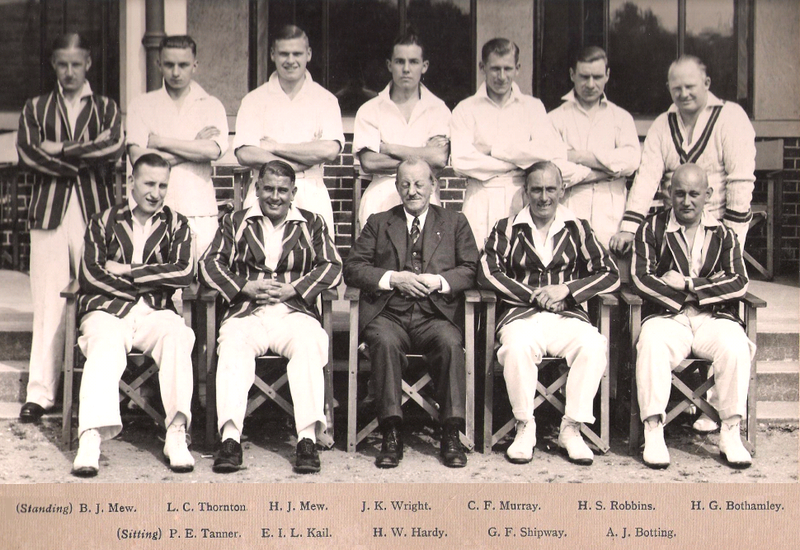 By the 1930s Kail and his old wing partner George Shipway were joint captains of the cricket side, and look resplendent in a team photograph showing them in their pink and blue striped blazers. Incidentally, one of these blazers is in our possession. It belonged to Sid Simpson (sported in the picture by Hamlet fan Phebe Virgo). Simpson was understudy to Reg Anderson before the Second World War, and was welcomed to the club in the 1934/35 handbook. The very same page also states: “We were disappointed with GJ Whittaker, a promising Junior who decided immediately to transfer to Nunhead without having a trial in the Senior Teams.” It was most unusual for a young player to move to another club, even more so for a Hamlet scribe to criticise a player – especially on the opening page of the club handbook. Born in Peckham in 1916, Geoff Whittaker was described by one of his Surrey colleagues as “unceremonious and unafraid.” The right handed batsman apparently hit the ball uncommonly hard, and once hit nine sixes in an innings at Northampton. He was in the Surrey team after the war, but just missed out on the glory days. Along with Arthur McIntyre, Whittaker made up part of the ground staff’s task force of young labourers at the Oval, and was involved in the improvements made to the terraces and banking before the war. Another county cricketer was Bill Caesar, a big husky right half, whose burliness belied the subtle art of footwork and deft passing in his repertoire. A school friend and team mate of Edgar Kail, Caesar was an England Amateur international and a popular Hamlet man in the 1920s. “A game in which Bill Caesar takes part” said Edgar Kail, “can never be dull. The most colourful player in the amateur game. Whatever he does the crowd pick him out from the start. They don’t all come to praise him but where the limelight shines one must render to Caesar the things that are Caesar’s.” When Kail was serving in the Police War Reserve in a village in Wiltshire, he would visit Bath where Bill was stationed with the Admiralty, to watch his old pal play cricket or football. Just after the war Caesar played three matches for Somerset. This was quite an achievement for the 46 year old. His previous County Championship match had been for Surrey in 1922, a gap of twenty four years! One sad loss to Dulwich Hamlet in January 2013 was John ‘Ginger’ Gornall, who died aged 86. John was a forward at the Hamlet, joining as a seventeen year old in 1943. He featured in the famous match against the barefooted Nigerians in 1949, a story we have featured in earlier editions of the Hamlet Historian. He was also a member of the team that won the London Senior Cup at Highbury later in the same season. In another match against Wycombe Wanderers in 1948 he scored four goals from his position on the right wing in a seven-nil win. At 27, an age when most players are reaching their peak, he damaged his knee and had to have it operated upon. This more or less put paid to his football career. But it wasn’t the end of his commitment with the Hamlet, and he continued for many more years a prominent figure in the Dulwich Hamlet Cricket Club as opening batsman. One particular occasion stood out for him – an amazing nine day spell and a sportsman at the top of his game. Over one bank holiday weekend sixty years ago John Gornall played cricket for Dulwich Hamlet on the Saturday, Sunday and the Monday. In each game he scored a century. The following Saturday he played for the Hamlet’s football side and the next day scored another hundred runs for the cricket team. Four centuries in succession! A remarkable achievement. Without a home ground, the Dulwich Hamlet Cricket Club played as a wandering side, and could boast a very strong club fixture list. Most of the Banks grounds were visited and many others where the Football Club’s ‘A’ side used to play. These included Catford Wanderers, Shell Club, Lensbury, BP Club and Sydenham. Fixtures played out on a Sunday in early May often followed a Football Club match from the day before. Unofficial rules stipulated that only members of the Football Club were allowed to play for the Cricket team. But because of the severe winter of 1963, which extended the football season into midsummer, ‘outside’ players were introduced into the cricket team. This continued for many years right up until after the Cricket Club’s centenary. John Gornall arranged the centenary dinner, and through his many years of employment and connections with Shell, was able to hold it at the Britannic House Club. Over a hundred people attended the event, including current and former players, and many distinguished guests. By then the Club was finding it difficult to field XIs, and within a few short years it packed up altogether. A very few of those regular cricketers are still with us, but they keep up their association by way of Dulwich Hamlet’s Vice President’s Club. And if you ever get a chance, sit down with them and listen to some great stories. From 1904 to 1912 the Gaumont Film Company had their main studio on the site of Champion Hill. Interestingly many of their movies were filmed in the immediate neighbourhood, and one of Dulwich Hamlet’s earliest grounds (Freeman’s Ground) – features in several early films made at the studio. 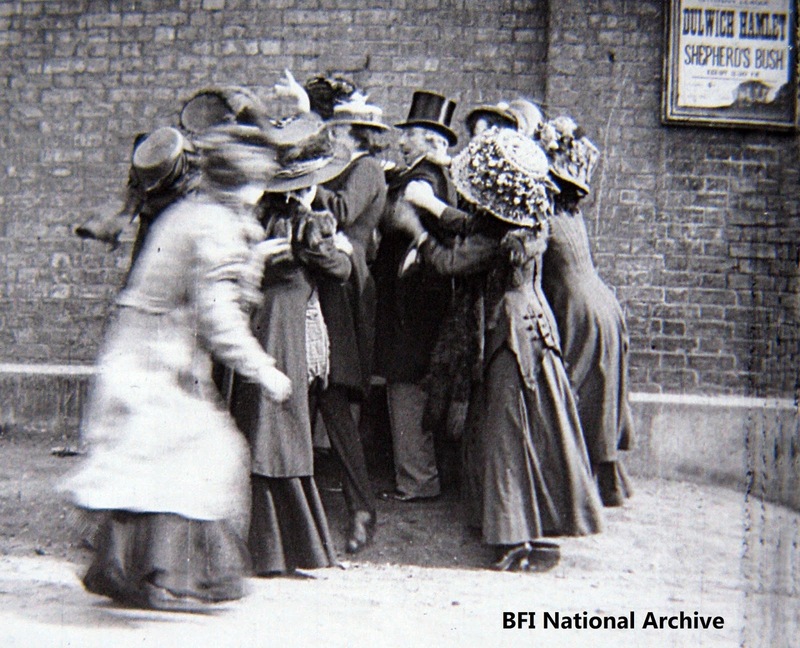 In August there will be a free outdoor screening of some of these short silent films. This will take place in the Dog Kennel Hill Open Space (up the steps from the Sainsburys cash machines). Make a note in your diary for Saturday 30th August at 8.30pm. There will be live piano accompaniment to aid authenticity. Get along there and see for yourself how the grounds looked at the beginning of the twentieth century. Not too dissimilar to Tuscany, someone said. The new issue will be on sale at Champion Hill on Saturday 26th April priced £2.00.